When it comes to coffee consumption, there are still a lot of pod people out there. But unlike the plot of the sci-fi classic “Invasion of the Body Snatchers,” their growth is not inexorable. K-cups, the latest version of the single-serve “coffee pods” that have been around for decades, swamped the U.S. coffee market since their advent in the early 2000's. Pods’ share of total U.S. coffee sales rose from practically nothing in 2000 to 34% in 2014, according to Euromonitor. Two precipitating events during that time were the recession, which led consumers to cut back on out-of-home coffee consumption, and the 2006 acquisition of Keurig, maker of the archetype K cup brewer, by Green Mountain Roasters. This created a marketing behemoth that propelled Green Mountain to the top ranks of specialty coffee roasters and helped establish K-cups as the No. 1 vehicle for single-serve coffee. K-Cups: Still the best solution for coffee packaging? However, the K-cup is not quite as hot as it once was. Sales of the Keurig machines, which had been growing steadily through 2013, started to decline in the last quarter of 2014 and have been falling since. Total sales of the pods are still rising, but the growth curve has flattened considerably: Euromonitor predicts that volume growth of K-cups will fall to 4% annually by 2019, compared with 82% in 2012. The patent for K-cups, and the machines that brew from them, expired in 2012. Green Mountain/Keurig responded by developing a machine, the Keurig 2.0, that would only work with Green Mountain K-cups. Consumers roundly rejected it and started turning to alternatives. Consumers are becoming aware of the price. Even the cheapest K-cup coffee costs more than $20 a pound—roughly double the most expensive coffee that most grocery stores offer in pouches or other bulk packaging. K-cups are getting an increasing amount of criticism for their environmental impact. The standard K-cup from Green Mountain is not recyclable due to multi-polymer construction. It has been estimated that discarded K-cups could encircle the globe more than 10 times. Other suppliers offer mono-polymer recyclable K-cups, and Green Mountain has pledged to convert its entire output to these by 2020. In the meantime, eco-conscious consumers can use the refillable, reusable My K-cup. But the My K-cup must be filled from a bulk supply and washed after use, cutting into the major advantage of the Keurig brewing system: convenience. Roasters who supply coffee in multi-serve packaging, especially flexible packaging, hope to make consumers aware of the relative advantages these alternatives have. Freshness is one of the biggest advantages of pouched coffee—one that becomes especially important with premium product. 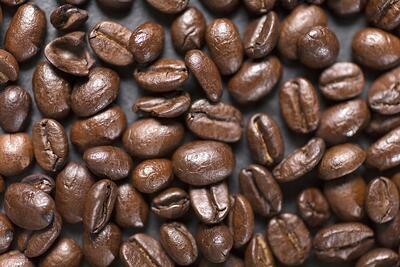 Coffee loses freshness through exposure to oxygen after roasting. Such exposure is inevitable for K cups, but pouches have two ways to minimize it. The first is by packaging coffee beans while they’re still hot out of the roaster. Otherwise, the roaster would have to let the beans sit and cool in the open, which would greatly increase oxygen exposure. The challenge is that hot beans emit carbon dioxide and other gases while they cool, at a rate that could cause sealed packages to swell or even burst. Pouches can accommodate this by incorporating a valve that allows internal gases to escape while keeping out oxygen. The second is through gas flushing. Pouch-packing machinery is available, through Rovema and other suppliers, that fill the pouch’s headspace with nitrogen at the point of packaging. The best such systems reduce the level of oxygen in the headspace to less than 2%. Oxygen analyzers often are used in conjunction with gas-flush fillers: either benchtop models that can be used to test random packages, or in-line ones that continuously monitor oxygen levels as part of the packaging system. When it comes to the home coffee market, quality has the potential to be an even greater differentiator than price. Euromonitor notes that Nespresso, a coffee pod system that predates K cups (and is more popular than K cups in Europe), is enjoying rising sales in North America, mostly due to a favorable quality perception. “The issue is less that American and Canadian consumers are unwilling to pay for pods so much as that they do not feel that Keurig’s pods specifically are worth the mark-up,” a Euromonitor report states. The office/institutional market is where K cups first took hold and where they continue to dominate, mostly because convenience counts more there: Office workers dislike getting stuck with cleaning up and making fresh coffee. But pouches have the potential for inroads there too, Panaseny says, with fractional packages, or “frac packs.” These hold just enough for a single pot of coffee, making them more convenient to use than larger packages. Frac packs can offer the advantage of gas flushing for freshness. In addition, because they’re less expensive on a per-ounce basis than K cups, a company can offer its workers higher-quality coffee for the same price. Additionally film and valve suppliers are offering or developing solutions for the ability to allow the frac packs to de-gas with a valve or film for this package style. Panaseny predicts this will be a growing capability in the years ahead. The bottom line is that coffee packaging is an industry in flux. Many competing priorities, considerations and preferences mean that it's impossible to predict exactly how the tensions will resolve themselves. So it's important for co-packers and coffee roasters to plan to incorporate as much flexibility into their lines as possible as they add production capacity. Certain performance criteria (i.e. residual oxygen, fill level accuracy, reliability of outgassing valves, production speed, etc) should drive machine selection, and flexibility for various coffee packaging solutions in the future should also be heavily weighed as machines are spec'd and built. To learn more check out our free on-demand webinar that discusses trends in coffee packaging.